Eyedropper is a good, free Windows program, that is part of the category Design & photography software with subcategory Web Design (more specifically Color Coding). Eyedropper is a pretty light program that will not require as much free space than many programs in the section Design & photography software. It's a program very heavily used in countries such as Russian Federation, Philippines, and India. Since we added this program to our catalog in 2005, it has managed to reach 11,535 installations, and last week it gained 24 downloads. It's available for users with the operating system Windows 95 and prior versions, and it is only available in English. The software version is 4.0 beta and it has been updated on 5/24/2004. Eyedropper, an extremely useful freeware program has become even better! 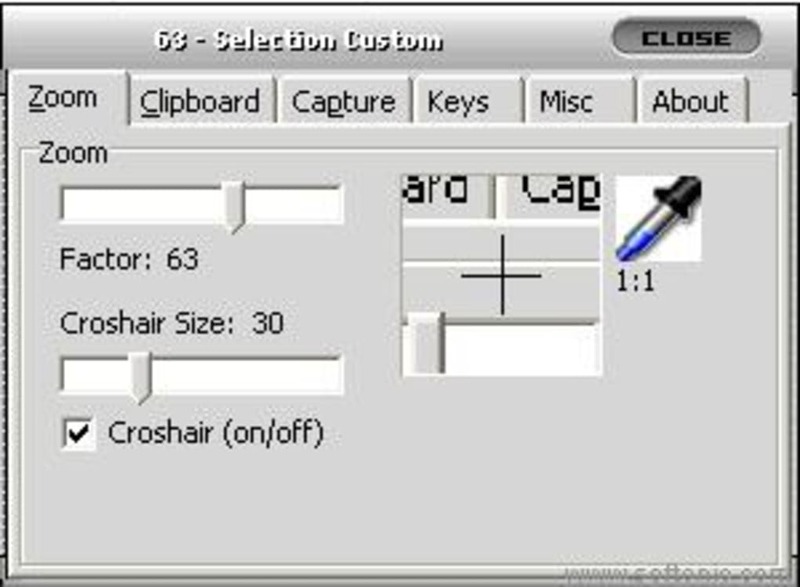 Praised by the Web designer community and DTP experts, and critically acclaimed by many shareware/freeware hosts, EyeDropper excels at its primary task: picking the color value from any pixel on the screen. Inetia has continually improved EyeDropper with many other small, but useful features. For the third release of EyeDropper, they have added a significant component, which can help you capture any area of the screen, display color values as normal, grayscale or even a Web safe setting and, to top it off, the whole program is more compact than ever! What do you think about Eyedropper? Do you recommend it? Why?